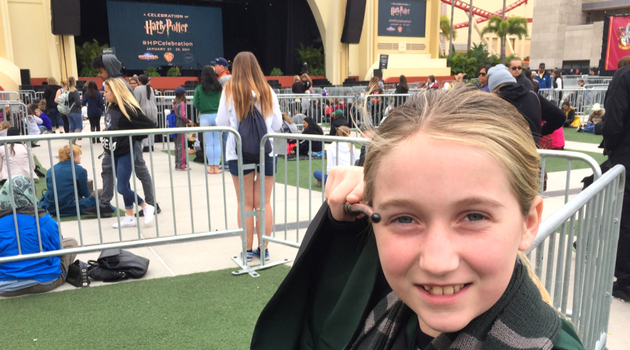 As a Harry Potter fan, my daughter had been asking about attending the Harry Potter Celebration at Universal Orlando Resort for years. This year, we were finally able to attend. Let me say…AMAZING! The Harry Potter Celebration is free with your annual pass or regular ticket. You can also pay a little extra for some exclusive opportunities or you can just use your regular admission. We are huge Harry Potter fans in our family and once we attended our 1st event, we could not wait until the next event. One of the best parts of the Harry Potter Celebration was the fellow Harry Potter fans. Everyone was so fun! As you know, Harry Potter fans are the best. Fans wore costumes and participated in all of the festivities. It was really fun! I know my daughter loved all of the costumes. Our favorite was a group of adults dressed up as the Fantastic Beasts characters, perfect with the release of the new movie. 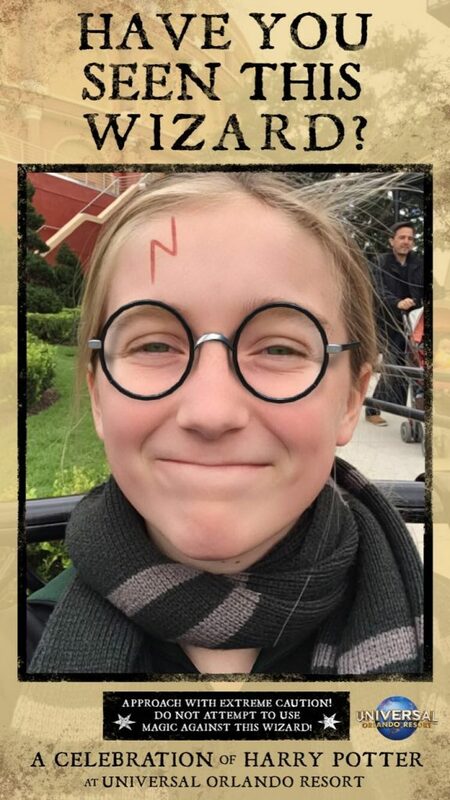 If you love Snapchat, they even had special Harry Potter Celebration filters to play with during your days of fun at the parks. As actors, we love to see the behind the scenes of movies. Especially movies we love, like the Harry Potter movies. 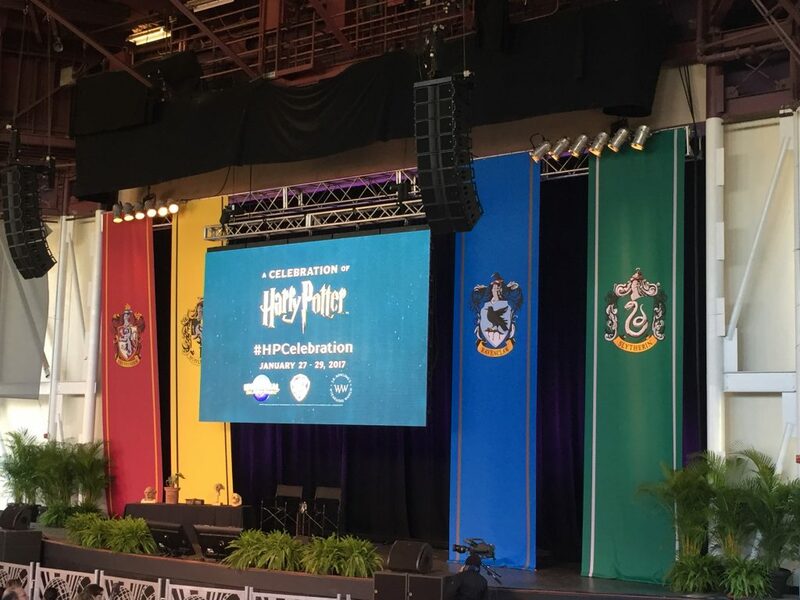 The Harry Potter Celebration provided several opportunities to learn from the cast and crew. Our favorite was the behind the scenes of makeup and creature effects with Warwick Davis. This was really fun to learn the behind the scenes of how they created the characters in the Harry Potter movies. Imagine learning how to fight using your wand from the choreographer from the Harry Potter movies! That is exactly what happens at the Harry Potter Celebration. This was so much fun for both kids! For the wand combat training, the choreographer was on the big stage at Universal Studios. There was plenty of room to spread out for wand fighting. Even better, Universal Orlando saved a section for families with children. Only at the Harry Potter Celebration can you learn how to fight using your wand from the choreographer from the movies. For muggles and wizards, the Harry Potter Celebration is a must do!